Embiggen Yourself: Best ice cream in LA ? Best ice cream in LA ? We went to Fosselman's in Alhambra for ice cream this weekend. While they have good fresh ice cream in lots of flavors literally made in the same building you eat it, I have always been a bit disappointed by them. I think these days for ice cream (not gelato or frozen yogurt!) my two favorites are Dr. Bob's and Scoops. Dr. Bob used to teach at Cal Poly Pomona and decided to quit to make ice cream. It is pretty dang good. However the do not have retail stores. You can get it at the LA County fair, but that is only once a year. Frank's Kitchen in La Crescenta has it all year 'round though. Scoops is a kind of hipster place over near LA Community College. They have a lot of ever-changing wacky flavors (like Brown Bread and Fig Goat Cheese). They are always happy to let you taste them all and their prices are cheap. If you go late tough, they may be out of most or all of the ice cream for the day. And while I am on a roll, I will mention a couple out of town places. 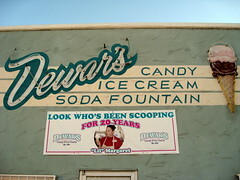 Dewar's in Bakersfield is great old fashioned fountain that makes their own ice cream. It like it a lot (don't miss their candy either). The Disney soda fountain next to the El Capitan in Hollywood serves Dewar's ice cream, but somehow it is just not the same. Amy's in Austin is also quite good. Kind of like a Texas Ben and Jerry's type place. I want to try in again when I get back there. 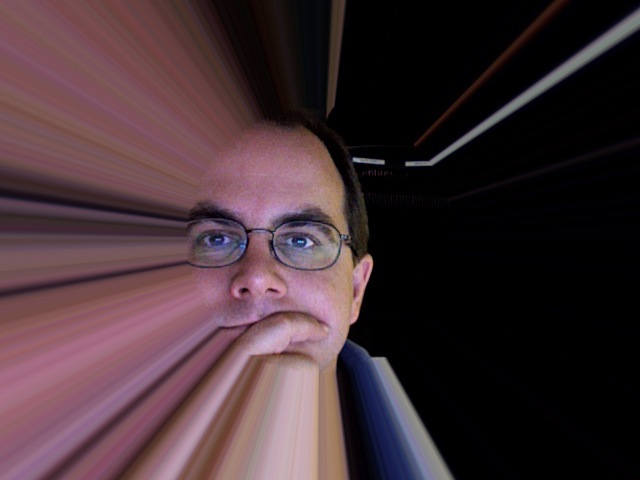 ps - I first blogged this at work, but figured it would be a good post here too.